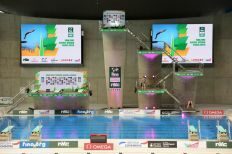 China secured their first World Series clean sweep of the season as 19-year old rookie Yang Jian won 10m Platform gold with a stunning display on the final day in London. 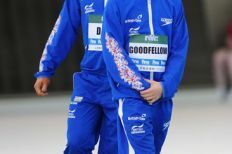 The teenager, competing in his first World Series event, had recorded the highest international score this season to qualify on 598.70 then sailed past the 600 marker in the final to win on 616.50. 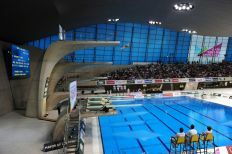 Gold meant China won all eight titles available in London – achieving the feat for the first time this season after winning seven in Beijing and six in Dubai. 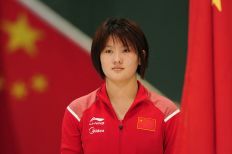 Yang’s stunning performance underlined the strength in depth on offer for the Chinese, who rested world champion Qiu Bo and World Series gold medallist Cao Yuan in London. While Yang never looked like leaving with anything other than gold, the battle for silver had the crowd on the edge of their seats with China’s Chen Aisen, Ukraine’s Oleksandr Bondar and USA’s Olympic champion David Boudia all in the chase. Chen eventually prevailed to maintain his record of winning a medal at every World Series he has competed; the 18-year old claiming silver on 553.25. But Ukraine’s Bondar recorded a World Series PB 549.55 to edge out Olympic champion Boudia (532.55) for bronze and his first individual World Series medal. 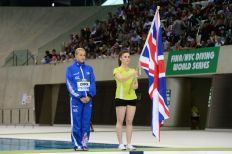 Click here for detailed results from London.